KillSwitch - an advanced system monitoring tool that allows users to identify, monitor and stop any unsafe processes that are running on their system. Malware scanner - Fully customizable scanner capable of unearthing and removing viruses, rootkits, hidden files and malicious registry keys hidden deep in your system. Autorun Analyzer - An advanced utility to view and handle services and programs that were loaded when your system booted-up. CCE enables home users to quickly and easily run scans and operate the software with the minimum of fuss. More experienced users will enjoy the high levels of visibility and control over system processes and the ability to configure customized scans from the granular options menu. For more details on the features and usage of the application, please refer to the online guide at http://help.comodo.com/topic-119-1-328-3516-Introduction-to-Comodo-Cleaning-Essentials.html. Comodo Cleaning Essentials can be directly accessed from the CIS interface by clicking the 'Clean Endpoint' button in the 'Advanced Tasks' interface. 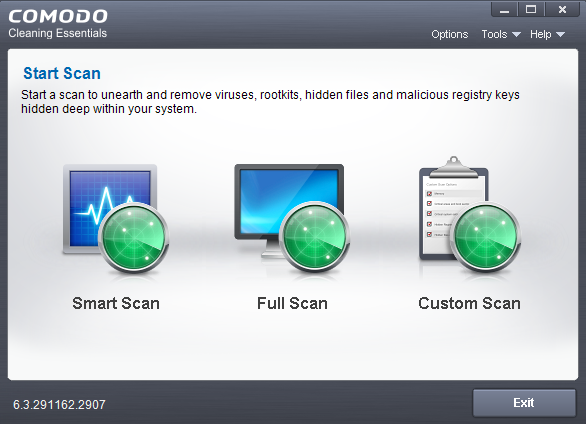 Clicking the 'Clean Endpoint' for the first time, CIS will download and install Comodo Cleaning Essentials. Once installed, clicking this button in future will open the CCE interface. Read the license agreement by clicking 'View License Agreement' and click 'Agree and Install'. CIS will download and install the application. 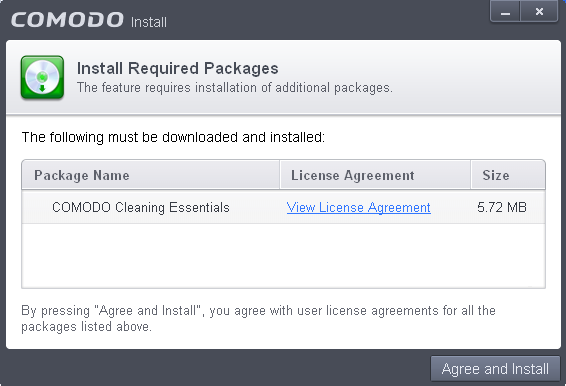 On completion of installation, the Comodo Cleaning Essentials main interface will be opened. 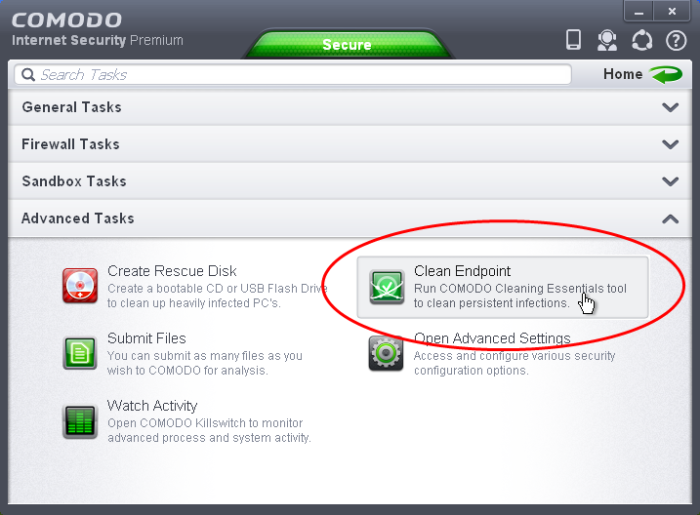 On clicking the 'Clean Endpoint' button from next time onwards, Comodo Cleaning Essentials will be opened.